Eversince KT’s summer holidays began, she’s been having plenty of time on her hands. Her friends in our apartment have all gone on their vacations. Hence her evenings have been pretty much boring. Although she is content with her toys and play utensils, I felt really guilty that I wasn’t making proper use of her time. So I decided to get crafty! She simply loves anything to do with sticking or cutting. Since we did not have proper craft supplies, this is all we could do. 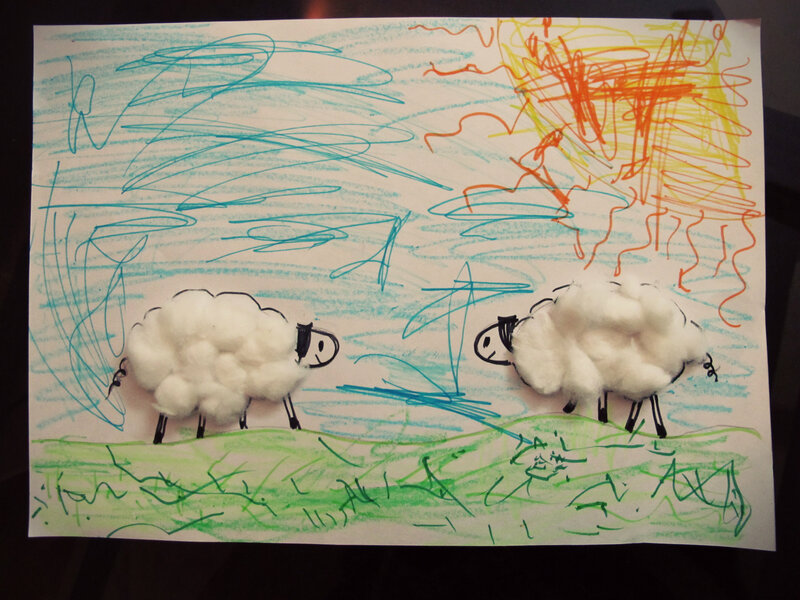 I drew the outline of a sheep and she spread the glue and stuck balls of cotton on it! As the sticking got over too quickly, we both colored the background!